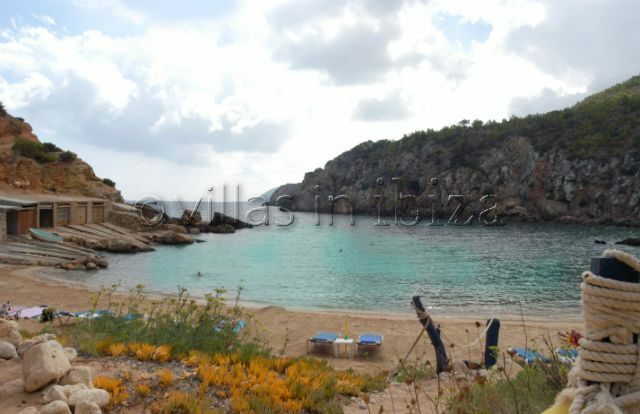 Cala d’en Serra is a beautiful beach local to San Juan. It is a small secluded bay with a bar selling traditional Spanish Tapas. Ideal for escaping the hustle and bustle of the larger beaches, Calla d’en Serra offers a small selection of sun loungers and umbrellas to relax and enjoy. The exceptional views and overwhelming beauty makes this location one of the Island’s best kept secretes! We were exploring by motor scooter and found this amazing beach by accident, to reach this cove you drive down a really rough and winding track, very secluded , clear waters, slightly rocky with plent of sand. It truly is a magnificent location.